International expansion is on the horizon for one of the UK’s leading self-driving vehicle specialists after it announced its first location in Canada. 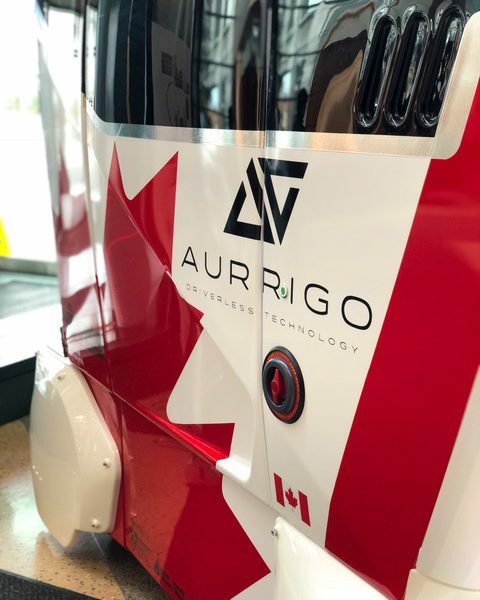 Aurrigo, the dedicated autonomous vehicle (AV) division of RDM Group, has opened a new sales and technical office in the heart of Ottawa and is now seeking academic, industry and government partners to support testing, validation and further development of its novel AV technology. The company has already enlisted research leaders at Carleton University to facilitate AV trials on its campus. Leveraging critical support from Invest Ottawa, the lead economic development agency for Canada’s Capital, the Coventry-headquartered firm believes its four-seater pods will tap into the country’s appetite for the latest transport technology and offer a viable first and last mile transport solution for moving people around key locations. 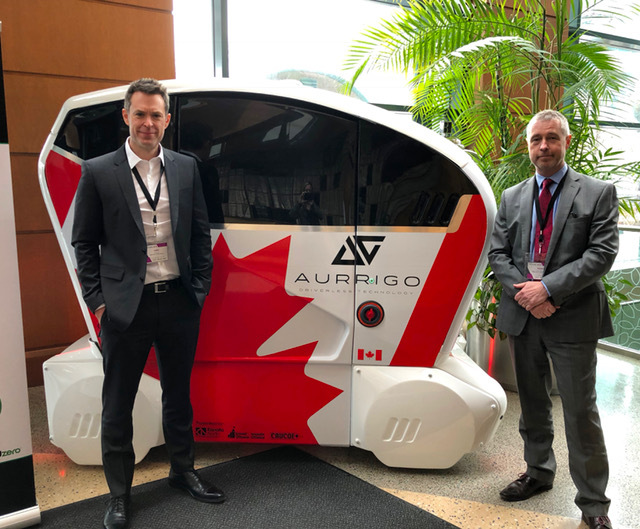 The firm marked its arrival in Canada by delivering a keynote presentation at the 3rd annual Ottawa Autonomous Vehicles Summit, as well as showcasing one of its demonstrator pods to the audience. “We have received significant global interest in our technology and have already invested in ‘on-the-ground’ presences in Australia and the US. Canada, with its forward-facing approach to innovation, was the next natural opportunity and we’re delighted we have now put a marker in the sand to show our commitment to the region,” explained David Keene, Chief Executive of Aurrigo. The Autonomous Vehicle Summit was organised by the Kanata North Business Association and Invest Ottawa, in partnership with the Canadian Automated Vehicles Centre of Excellence (CAVCOE). It showcased progress in automated driving technology and the far-reaching impacts this will have to society, whilst exploring the future of mobility and deployment attributes, such as transit, parking, infrastructure and urban planning, public policy and regulations, security and consumer acceptance. 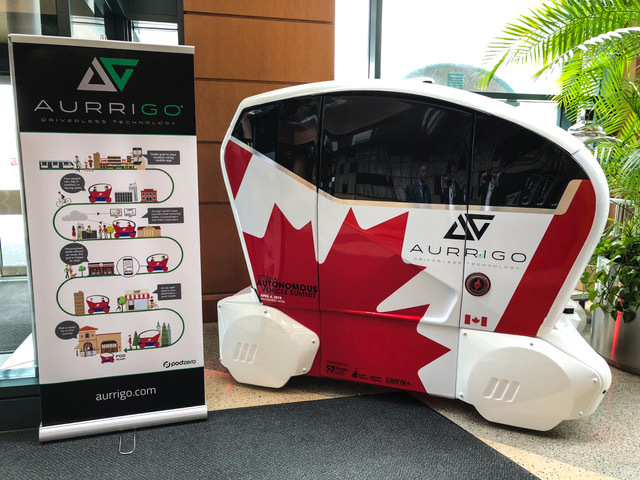 “Ontario’s thriving auto sector and cutting-edge research in autonomous vehicles make it the perfect place for Aurrigo to expand its operations. The firm’s presence in Ontario will also help strengthen the province as a global leader in this exciting new sector. Aurrigo, which employs over 65 people across the world, designs and develops the driverless vehicles from the ground up, including the autonomous control systems and offers a full “in the field” operating service. Its PodZero has an operating speed of up to 15mph, multiple battery options up to eight hours or 50 miles and can be fitted out to seat four people or to transport cargo. For further information, please visit aurrigo.com or follow @aurrigotech on twitter.